The University of the Fraser Valley women’s basketball team reeled off an 18-0 run bridging the third and fourth quarters to spark a 60-47 victory over the Trinity Western Spartans on Friday evening at the Envision Athletic Centre. The Spartans led 40-37 with just over a minute remaining in the third quarter following a Kayla Gordon layup, but the host Cascades caught fire at that point. Taylor Claggett kick-started the run with an and-one layup, and Kayli Sartori scored eight of her game-high 23 points during that stretch as UFV cruised to the double-digit victory. The Cascades (2-1) and Spartans (2-1) complete the home-and-home set on Saturday at the Langley Events Centre, with tip-off set for 5 p.m. The first quarter was played at a breakneck pace – the two teams traded baskets in the early going, and the Cascades led 21-19 at the end of the frame. The offences cooled off somewhat in the second quarter – UFV’s lead was 33-29 at halftime – but the Spartans found some traction in the third and led by as many as four points before the Cascades caught fire late. Along with the offensive explosion, UFV held TWU scoreless for the first five minutes of the fourth quarter. In addition to her 23 points, Sartori racked up nine rebounds and five steals. Claggett chipped in with 14 points, while Sara Simovic notched 10 points and seven assists. Tuchscherer also praised the play of rookie guard Amanda Thompson, who was “fantastic” defensively off the bench in the coach’s estimation. Jessie Brown paced the Spartans with 13 points, and Gordon scored 12. The Trinity Western Spartans erased a six-point deficit in the final two minutes of regulation and went on to defeat the University of the Fraser Valley Cascades 90-82 in overtime on Friday evening at the Envision Athletic Centre. In a game of wild momentum swings, it was the Spartans who had the final surge – they finished the game on an 18-4 run, encompassing the last minute-plus of the fourth quarter and OT. UFV (1-2) and TWU (2-1) renew hostilities on Saturday evening at the Langley Events Centre (7 p.m. tip-off, webcast at canadawest.tv). The Cascades had a solid start, reeling off an 11-0 run midway through the first quarter to go up 17-11. But the Spartans took over shortly thereafter, going on a 12-0 run of their own to take a 30-21 lead. The visitors would lead by as many as 13 points in the second quarter, and took a 44-35 advantage into halftime. The Cascades opened the third quarter on fire, outscoring the Spartans 17-2 over the first five minutes of the frame to seize a 52-46 lead. They maintained a lead throughout the fourth, and were up 78-72 after Mark Johnson’s layup off an assist from Vijay Dhillon with just under two minutes left in regulation. But on the ensuing possession, UFV lost track of Spartans guard Max Viitala, and he made a wide-open three-pointer from the right wing to cut the deficit to three. After Dhillon missed a trey of his own, Pogos Trunyan corralled a long rebound and raced down the floor for a layup, plus the foul. He converted the old-fashioned three-point play to tie the game with 1:14 left. Neither team was able to score again in regulation, and UFV forward Nav Bains had a 10-foot fadeaway jumper go off the back iron at the buzzer. The Spartans pulled away in OT, scoring the final eight points of the extra session to secure their second win in conference play. That’s one more than they had all of last season, when they finished 1-19. Trunyan paced the Spartans with 20 points, while Viitala (18 points), Tyus Allen (15), Tee Maberry (11) and Vartan Tanielian (11) also scored in double figures. Johnson’s play was a bright spot for UFV. One year to the day after suffering a torn anterior cruciate ligament (ACL) that cost him nearly the entire 2015-16 season, the third-year forward from Palm Springs, Calif. racked up a game-high 28 points (11-of-12 shooting from the field) and 13 rebounds. Manny Dulay (17 points, 12 assists), Nav Bains (18 points, nine rebounds) and Vijay Dhillon (13 points) also chipped in offensively for the Cascades. “My knee feels better the more I play,” Johnson noted. “This game, I just felt comfortable. I wasn’t thinking about my knee – I was just playing my game. That’s the biggest thing. The University of the Fraser Valley women’s volleyball team had the No. 5-ranked team in the nation on the ropes, but the Douglas Royals used an epic second-set comeback as a springboard for a four-set victory on Friday evening at the Envision Athletic Centre North Gym. The Cascades claimed the first set 25-18 and were up 24-21 in the second, but the Royals reeled off six of the next seven points to win 27-25. They rolled from there, taking the next two sets by scores of 25-19 and 25-23. UFV (2-6) and Douglas (6-1) have a rematch set for Saturday evening at 5 p.m. at the Envision Athletic Centre South Gym. “We didn’t do it when we needed to,” Cascades head coach Mike Gilray summarized. “Anybody can play before game point – you’ve got to want to be able to put it away. Left sides Kim Bauder (11 kills) and Rachel Funk (10 kills) paced the Cascades’ offence, while libero Amy Davidson (23 digs) and Bauder (19 digs) had prolific passing performances. 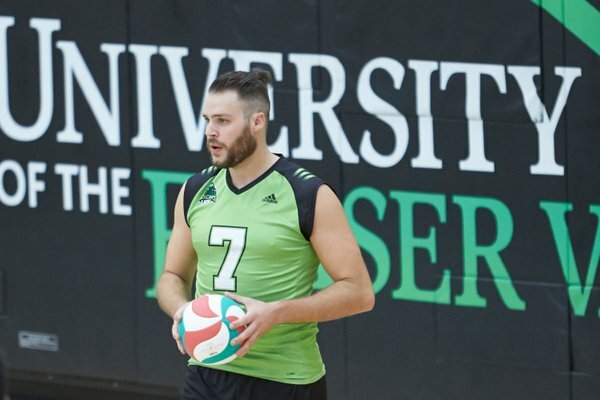 In a clash of nationally ranked men’s volleyball teams, the University of the Fraser Valley Cascades fashioned an impressive four-set triumph over the Douglas Royals on Friday evening. The Cascades made their debut in the CCAA national rankings this week, checking in at No. 12, and they validated that billing – and made a case to move up – by knocking off a higher-ranked foe in the No. 8 Royals. Set scores were 25-23, 23-25, 25-20 and 25-22. Cascades head coach Kyle Donen termed it “a weird one,” and for good reason. In the first set, the Royals surged ahead before the Cascades clawed their way back to win, and it was the opposite situation in the second – UFV was up big early, but left the door open for a Douglas comeback. “Every set kind of went that way, except the last one,” Donen noted with a wry chuckle. “We were able to hold onto our lead and finish the game off at the right time. Friday marked the Cascades’ fifth straight home victory to start the season, and they improved to 6-2 overall to tighten their grip on second place in the PACWEST. The Royals (4-3) sit third. The two teams clash again on Saturday at 7 p.m. in the Envision Athletic Centre South Gym. Fourth-year left side Nick Bruce had a big night, racking up a team-high 16 kills and three aces. Fellow left side Ben Friesen (11 kills) and right side Joel Kleingeltink (nine kills) also chipped in offensively. Setter Adam Frederickson and middle Connor Pruim tied for team-high honours with four blocks apiece, and middle Dayton Pagliericci had three blocks of his own. Donen also lauded the play of sophomore libero Evan Bell-Foley, who stepped into the starting lineup in place of an injured Isaiah Dahl. 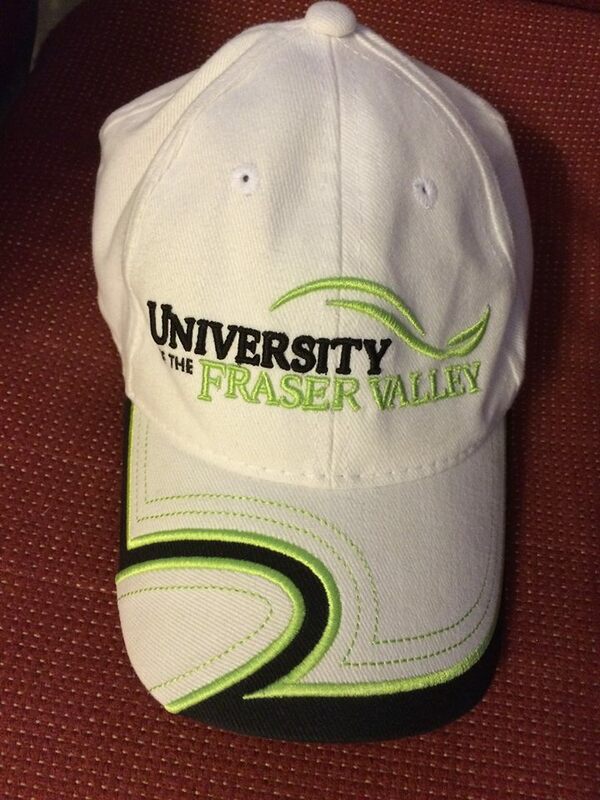 Be the first to comment on "UFV Sports Friday"